Anyone who has caught a train in Europe knows why trains are great. 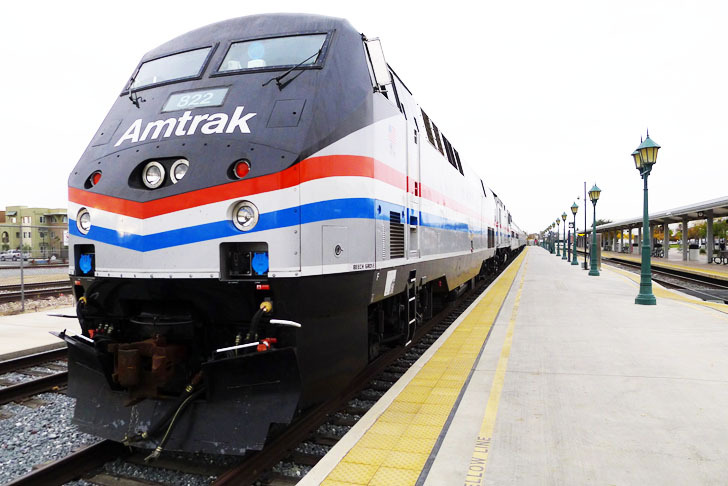 Amtrak customers may be a more ambivalent crowd, for good reason. Despite the presence of trains in the USA since my Scottish train conductor great great grandfather’s time, we haven’t got the whole process down pat yet. Nor may we ever, despite our desire for a bullet train. That will be bedlam at high or no speed.Timetables, passenger disturbances and what’s on the tracks today are the biggest problems faced by Amtrak personnel in respect to daily business. I am not going to bring up grumpy conductors. Never mind, I just did. I can understand why conductors are grumpy. I would be grumpy too if I had to operate without a backup plan. Unlike airplane stewards and stewardesses, conductors are not allowed to breathe a word about why a train has stopped unless expressly given permission. If they tell the truth, they get the fingers of one hand cut off, and sometimes an ear.That is scary business, so they don’t break the rule. These poor souls have to battle irritable customers who are sick of sitting on seats going nowhere.They have to battle rude Americans (and there sure are a lot) who won’t move and let families sit together. They have to figure out what to do with roaming lunatics who won’t pay for tickets and who do strange things in public. Worst of all, the poor conductors have to operate without a backup plan. 1. An unscheduled train is coming towards another train on the same track. There seems to be no procedure in the Amtrak bylaws to deal with this. Solution? Stop on the tracks until the danger is over or someone calls the engineer to tell him to go or there is a collision. 2. A bus has parked on the track. Solution? Stop on the tracks. Wait. Someone has to call the police, who begin a slow and laborious investigation. Meanwhile, conductors may not tell the passengers much. Sometimes they will indicate there is a stopped vehicle. If asked questions, conductors shrug and caress their ears and fingers. They don’t know. This has happened so many times in my family’s experience that I know for sure no procedure has yet been outlined. Everyone is at a loss. 4. A vagrant wanders into a car and refuses to pay. Solution? The train stops. After an hour two policemen arrive and the man is handcuffed and led away. If the police are busy, tough luck to the people on the train. I saw this too. We like to read what resonates, what touches our own experience and flies up, up and away like a kite, string entwined in our sweaty, gripped fingers. Personally, I enjoy stories about writing and other writers, especially if I recognize the pain. I’ve seen reviews describing THA-of-H as Hollywood to an “H,” the acting/movie development life rolled into a resplendently gritty regurgitated hairball as wet and slimy as the truth. Fell into it with the dazed joy of discovering a new substance to abuse, one that’s not yet illegal. I’m happy for the “this-is-Hollywood” readers, but for me, THA-of-H evokes the endless trek of the mind-numbing, hysteria-inducing tedium of reading endless reams of gibberish. Such pursuits may be more noble than pretty, but that is what a lot of us writers do. I’ll explain. Sam Bateman, the protagonist, is not a writer. His dad was. Bateman’s dad has died and left a drawer full of scripts, screenplays, and an unfinished novel along with a ton of rejection slips. Sam reads his dad’s creative writing and finds it much better than good. He grieves for his father’s aspirations as well as his father’s dog, who also dies. A good son, Sam buries the mortal remains of both, but not the dreams. 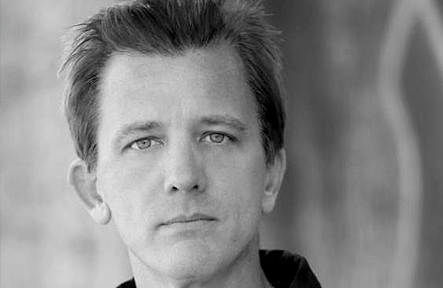 He sells everything and moves to L.A. with his dad’s scripts and a plan to get even. This is where all the great characters come in, including Solitude. Sam sets up shop in the wannabe writers biz (which is probably more lucrative than the sale of horror novels to the general public). He advertises a competition and award and starts reading as hundreds of scripts pour in. The masochism involved will thrill the soul of every writer who has had to teach composition, edit or search for the elusive pearl. Sam is human. He cracks. And much more. It is all brilliant. Loved the legend of Holden. Loved Share. Loved the ending. Loved the middle. Loved the beginning. 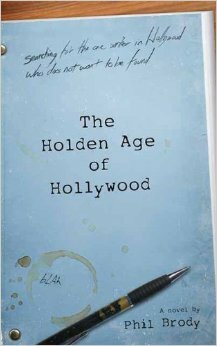 Loved The Holden Age of Hollywood if you didn’t get that already. Okay, here’s one: if you don’t like the F*** word, don’t read it. But if you are a writer, you won’t mind that word, because it is part of the living human language. If you are a writer of any ambition or perseverance or skill, this a book is for you. Happy unwrapping! It’s Christmas, Hanukah or Eid when you least expect. 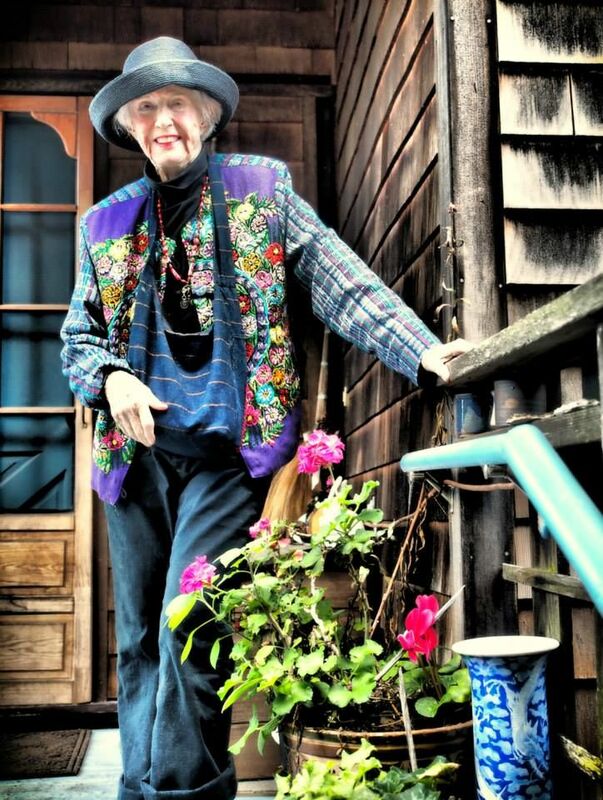 While writing and revising my now-finished horror novel, I have looked to other writers to keep me horrified. 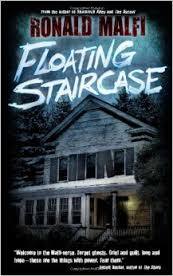 In that search, I came across Ronald Malfi’s famous horror novel The Floating Staircase.I bought it on my Nook and forgot about it for a couple of months. Then I found it and read it. Damn if The Floating Staircase isn’t really good. It is creepy. Malfi uses gothic techniques for creating his remotely situated haunted house. He’s a great descriptive writer. His plotting is sometimes a bit unexpected, but overall, he employs classic techniques. I read along trying to gauge them. Having said that, he did throw me a bit. I have been told, by publishers, that blending genres is taboo. Malfi does it with impunity. The frappé effect didn’t bother me at all. The Floating Staircase is primarily a haunted house book, but it is frequently a mystery and sometimes verges on detective, crime, or just plain old mainstream. The blended genres are not the main thing I am going to remember about Malfi, although I may surprise myself. I will remember that he gave me a cozy haunted house feeling. I like that on windy nights. I liked his writer protagonist, Travis, who screws up his life and marriage. His writing success is a bit off-putting, but screwing up redeems him. A hugely successful writer protagonist would be difficult to like unless that person had a disease. But I drift from my point. Ronald Malfi has seduced me with his outlandish metaphors. This wasn’t supposed to work, but I found myself reading for them. I also began texting them to my writer friends, wondering what they would think. Stephen King writes somewhere that a writer should not describe a man waiting (for a taxi, say) as having the expression of a man waiting for a ham sandwich. Good point. How on earth can we picture that? How does the expression of someone waiting for a ham sandwich differ from someone waiting for pizza? Or a coke? Malfi broke the golden rule several times, but since he held me in more ways than one (I am talking about my attention in reading a book) and since his forced metaphors are so memorable, I began to look forward to them. For instance, I never would have thought of crows perched on wires to resemble a semicolon. Hard as I try, my best shot at conjuring up this image would be if one crow has had its tail feathers torn out or burnt off. Maybe that one crow has been struck by lightening and has been burnt right onto the wire while the other crow hasn’t noticed. It is an intriguing thing to think about, especially when life is stressful. Another interesting metaphor described a character whose laugh sounded like a cold tractor engine starting up on a frosty morning. I am writing this from memory so the words may not be precise. When I came to that metaphor, I began to wonder if I was the wrong audience. Writers are supposed to have a particular audience in mind. Publishers know which audiences will read horror, young adult, and romance. Romance, if you didn’t know it already, is for females. Men are just not keen on romance. Women may think they want men to read romance, but they might not like it if their boyfriends suddenly became hell bent on it. There’s a thought to ponder all by itself. I began to wonder if The Floating Staircase was for farmers. I have no idea what a cold tractor engine sounds like starting up, especially if it is old. Nonetheless, I began to get a feeling of excitement, like a player exploring his geocache map, or a kid looking for Easter eggs. But me, I was collecting Malfi metaphors. I loved the hamburger as thick as a Bible. I loved texting the curious metaphors to my friends. Soon I was composing my own. I definitely will buy another Malfi book. He is a good writer and he has proven, yet again, that writers can break rules. and get ready to give them away.